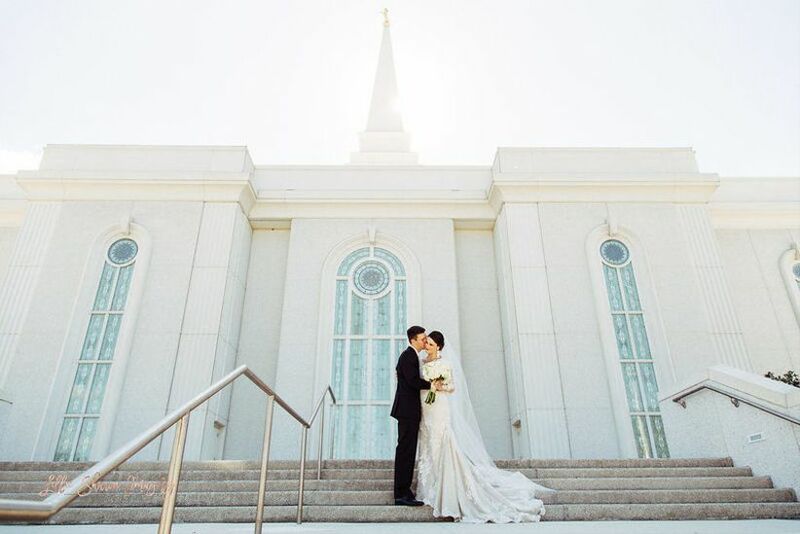 Thinking of getting married in Orlando? You’ve got to read our ultimate guide to Orlando weddings, from how to get a license to where to send your guests for post-wedding fun. Getting married in Orlando is both exhilarating and exhausting. 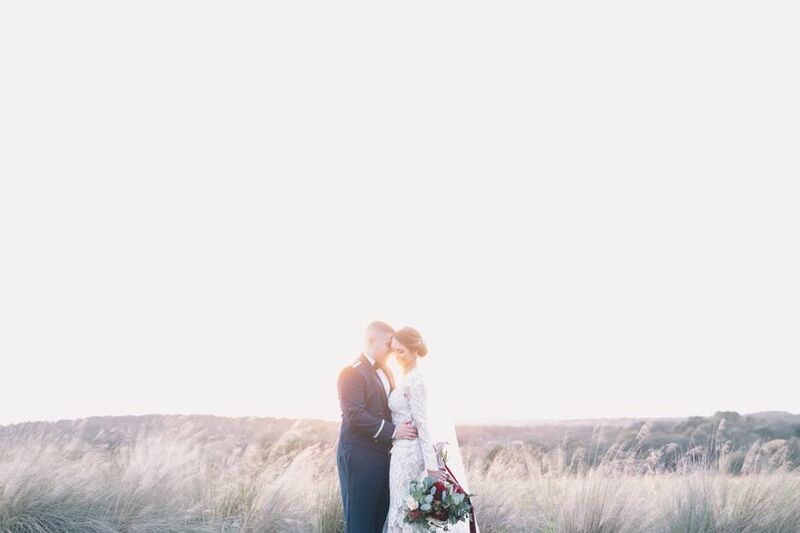 This leafy metropolis in Central Florida is home to absolutely stunning venues for Orlando weddings; blessed with subtropical heat year round; and slightly more affordable than the national average. However, wedding planning isn’t for the faint of the heart, not even when you’re doing it in chic, tropical style. But, being prepared makes it that much easier. Here’s what you need to know about getting married in Orlando! 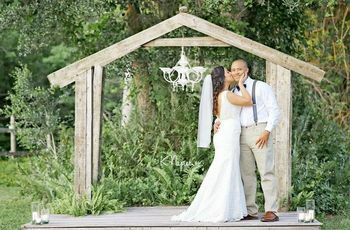 Couples getting married in Orlando enjoy an easy-breezy engagement period of about 15 months, according to WeddingWire data. 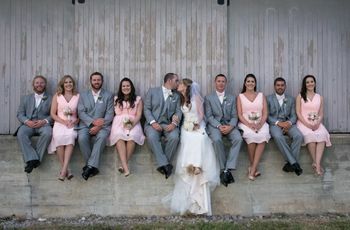 They’ll hire about 13 wedding pros to pull off their wedding vision and invite approximately 102 wedding guests to their special day. 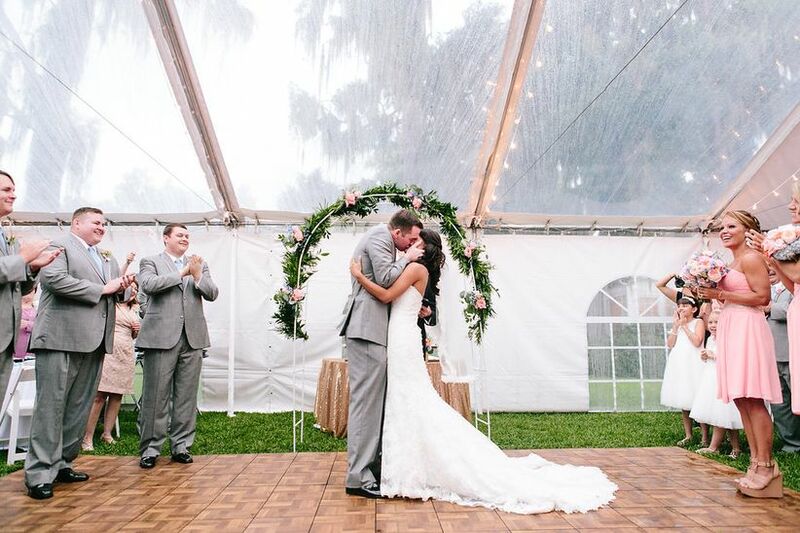 Not surprisingly, warm and dry November is the most popular month to tie the knot in Central Florida. Your out-of-town guests will likely arrive via Orlando International Airport, a bustling hub that welcomes more than 45 million passengers annually. The trek to downtown Orlando is about 20 miles from the airport. Depending on your wedding weekend agenda and guest accommodations plan, you’ll likely want to advise folks to rent a car to get around Central Florida. The exception to this would be if the weekend’s events are all within a mile or two radius. In this case, short rides on Uber or Lyft may be more economical. Orlando weather is generally humid and warm to hot, as it is part of the humid subtropical climate zone. The hot and rainy season extends from May to September with rain peaking in June and July. The warm and dry season covers the rest of the year from October to April with November being the driest month. 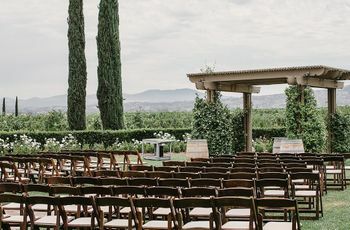 Finding beautiful places to get married in Central Florida is never the challenge, but narrowing down your options might be. We’ve rounded up some of our favorite places for Orlando weddings, including Venue 1902 at Preservation Hall, and organized by the type of venue. Both parties should be prepared with a valid photo ID and social security number when applying for a Florida marriage license. You might also be asked for a certified copy of your birth certificate, and you don’t need to bring witnesses. 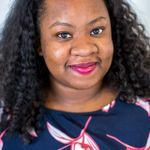 You don’t need to be a state resident, but if you are a state resident there is a three-day required wait time unless you’ve completed a premarital preparation course. You’ll both need to be 18 years old to secure a Florida marriage license, unless there is parental consent. Even with a parent’s signoff, you must be at least 16. Your license is valid for 60 days after it’s issued. With so many popular theme parks in Central Florida, lodging for couples getting married in Orlando is plentiful, but books up fast, so be sure to create a hotel room block at your venue or nearby. This is even more important if you’re planning a destination wedding, and you anticipate many out-of-town guests. 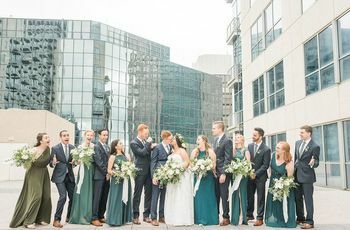 Depending on the distance between guest accommodations and your venue, and the distance between your ceremony and reception venues, you might have to plan for group transportation. 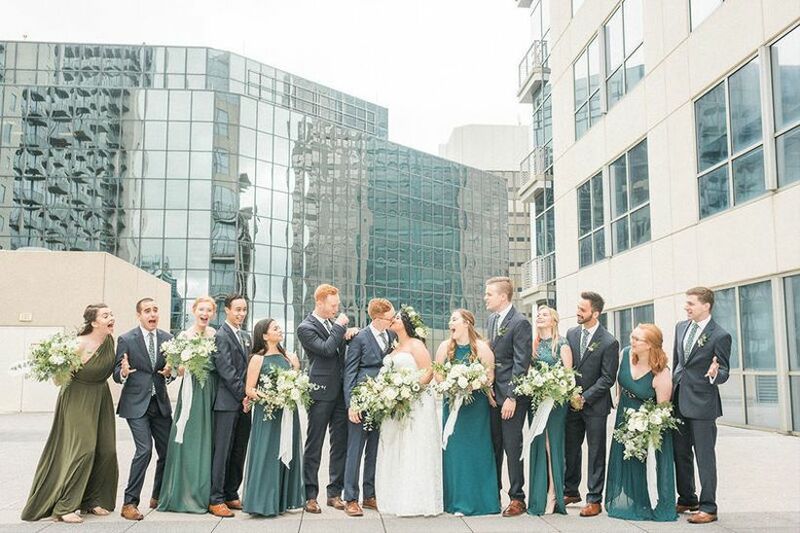 While you’re at it, think about other events you have planned for the wedding weekend, like a rehearsal dinner or a post-wedding brunch, and calculate the benefit of arranging shared transpo for those events, too. Orlando is a world-class entertainment capital, thanks to the presence of film and television-themed park experiences and an abundance of wildlife parks. If you’re getting married in Orlando and expecting guests from other regions, seek out some fun activities to keep everyone entertained. Walt Disney World: You might already be familiar with Disney’s Magic Kingdom mainstays — Epcot, Space Mountain, and Cinderella’s Castle. But, there’s plenty more for you and your guests to do at this behemoth park, including an 18-hole championship golf course and celebrity chef-helmed restaurants that are definitely not just for the kids. Universal Orlando: Pay homage to the Boy Who Lived at the new-ish Wizarding World of Harry Potter; grab a seat on a 6D motion ride (because 3D is so 20th century); or visit with your favorite superheroes from the Marvel Cinematic Universe. SeaWorld Orlando: Visit with your favorite aquatic mammals, enjoy a few roller coasters or check the schedule to see if you’ll be arriving in time for one of SeaWorld’s themed festivals. Discovery Cove: An animal-lovers dream, your guests will love up-close access to dolphins, rays, and birds, along with the opportunity to indulge in water adventures, like snorkeling. Check out these gorgeous Central Florida celebrations for inspiration on getting married in Orlando!